The performance of your website is significant as the visitors of your site become less tolerant and more challenging day by day. If the #website pages are not loading speedily, then it means you are at the risk of losing your visitors. It will create a negative impact on your website’s reputation as the visitors with a bad experience will tell other people about it that will undoubtedly damage the reputation. It must also be kept in mind that performance of the website is relatively essential to search engines such as Google or Yahoo as they measure it to determine the search engine rankings as well. Here are ten essential tips you can use for performance optimization of your website. The browser brings data from a server using HTTP (Hypertext Transfer Protocol), and it is considered a request between the client and a host. So the web pages of your website will load slower if more HTTP requests are generated. You must also not let things make requests if they aren’t being used on your site. In fact, there is a lot you can do to decrease the number of HTTP requests and pace up your website. Use GZIP (GNU ZIP) compression to reduce the size of your website’s pages. The pages of your site compressed with GZIP parse quicker. You can easily Check GZIP Compression as it is a very simple-to-use tool that is enormously effective. It finds similar strings within a text file and substitutes those strings temporarily to make the size of file smaller. If you use GZIP compression for your website, then it would reduce the size of the pages by up to 70%. The reason why GZIP works well is the extensive use of files such as CSS and HTML that contains a lot of whitespaces and repeated texts. Since the GZIP compresses common strings, the size of the page is supposed to reduce noticeably. You can also optimize and improve performance by executing caching at both the server-side and client-side. “The Server-side caching restrains the number of queries you make to the database server,” says Emily Jones, a website developer at UK Logos. It is useful for repeat visitors as it saves specific files like CSS, images, and logos for a particular amount of time. Since these items are stored in a browser, they load more quickly upon the user’s next visit. It serves various visitors from the similar cache without needing individual first-time site visitors to make requests to the origin server. This whole activity reduces the pressure on the origin server and speeds up the performance of the page. 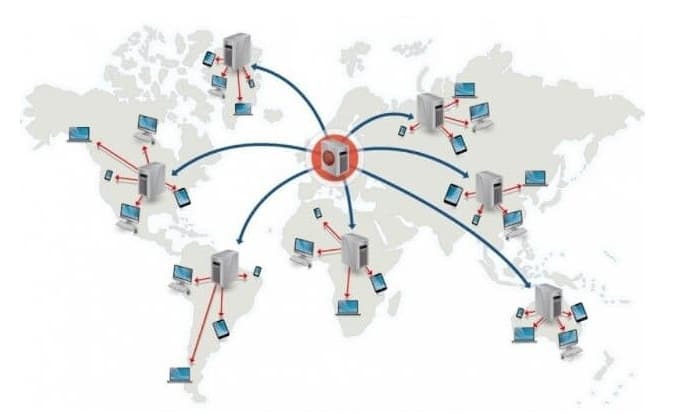 CDN (Content Delivery Network) is known for granting high accessibility and better performance. If you use CDN on your website, then it would be useful for publishing things like static content, images, file downloads faster. CDNs can facilitate your users load your site quicker by serving your static resources in the form of various nodes all around the world. To avoid complexities in your HTML that makes your page load slower, you must not copy the content from software like word processors or notepads. “It is small but significant fact that whitespace is better for readability purposes, but it increases the overall byte size of your page,” says Sophia Christopher, professional write at Assignment Help. You should use simple formation in HTML coding that is compliant with standards and help to load your website’s pages more efficiently. Also, you can check your website’s performance on the Google Page Speed Tool after reducing unnecessary HTML files and making your site browser compliant. It is a very clean tool that gives excellent insights into the speed of your page both on mobile and desktop. This tool provides a fair idea about the overall optimization of your website. The database plays a vital role in performance optimization of the site. If you delete old, obsolete, duplicate and vacant data tables from the database, then your website will load quicker. If you are running a WordPress site, then it can lead to extremely inefficient and slow access to the database as well as website. By craftily optimizing your WordPress database, you can decrease a valuable amount of your website’s loading time. You can use this useful plug-in WP-Optimize to clean up and optimize your database to make it run better. By using it, you can eliminate all those post revisions, spam comments, thrashed content, unnecessary data, duplicate MySQL tables and different unused tables automatically to make sure your database run faster and efficient. It is a quite logical fact that the larger the sizes of images, the higher load time it will take. You must avoid HTML scaling and prefer to resize images directly to be able to optimize website properly. Also, you must keep in mind that every image on your site can increase page load time. It is mandatory to reduce the size of images since a good number of images are present on an average website making its load time slower. Now you don’t need to compromise on an image’s quality anymore and can use a simple image size reducing tool Compressor to reduce the size of your images. It is an excellent tool that considerably shrinks the size of your images and photos while preserving its original quality with almost no distinction before and after compression. All these things must be reduced, trimmed and compressed to load your website quickly. Now you can decrease the load time of your pages instantly by the use of simple plug-in BJ Lazy Load. Once you install and activate this plug-in, it will start working with its default settings right away. For starters, this plug-in will do all the heavy work and load your website much faster. The optimized fonts, united with a cautious strategy for how they load and apply on the page, can help decrease the overall size of the page and improve page rendering times. You should avoid those things that have no requirement at all on your website. By removing smaller things like wrong or duplicated entries, obsolete data, excessive script codes and whitespaces, your site will load faster. Published on April 5, 2018 by Anni Brianne. Filed under: database, speed, website performance.